Nine African startup founders have been selected to take part in the Westerwelle Young Founders Programme, offering them access to mentorship and networking opportunities. The Westerwelle Young Founders Programme, run by the Berlin-based Westerwelle Foundation, is a fully-funded six-month programme for outstanding young entrepreneurs from emerging and developing countries. It aims to connect young founders from all over the world with each other and with the Berlin startup scene, and support them in further developing their entrepreneurial skills and their international network. After more than 2,500 applications were received, nine African founders have been selected to take part in the latest cohort. Three of these are from Nigeria, in the form of Chidi Nwaogu from digital publishing startup Publiseer, Okey Esse from energy company Powerstove, and Sunday ‘Dimeji Falana from ed-tech startup Edves. Kenya is also represented by three entrepreneurs in the shape of Johnson Gituma Mwangi from fintech startup Flexpay, Kiko Muuo from ed-tech startup Angaza Elimu, and Marvin Makau of e-health startup Usalama Technology. The remaining three entrepreneurs are Prince Kwame Agbata of Ivory Coast and Ghana based waste management startup Coliba, Stone Atwine of Ivory Coast and France based fintech platform Eversend, and Zulé Vuuren of South African freelance medical platform LocumBase. 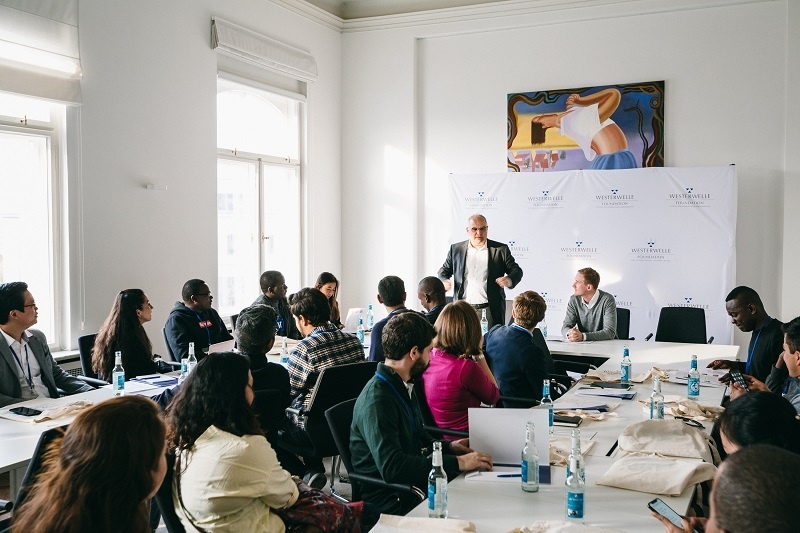 The programme kicks off with Westerwelle Young Founders Conference in Berlin, where participants connect with each other and renowned people from the German business, political and startup world. There will be speeches, workshops, and the chance to get to know the Berlin startup scene. Throughout the programme, the Young Founders will have the chance to develop their businesses and discuss challenges with a personal mentor as well as with fellow Young Founders in a peer mentoring group. They will also receive further support through regular expert webinars.